Buddy the Elf has his sugar food groups. Therefore, I find it perfectly appropriate to have my own carbohydrate food groups–dairy, bread, sugar, and wine. After all, ’tis the season for (not so) guilt-free indulging. 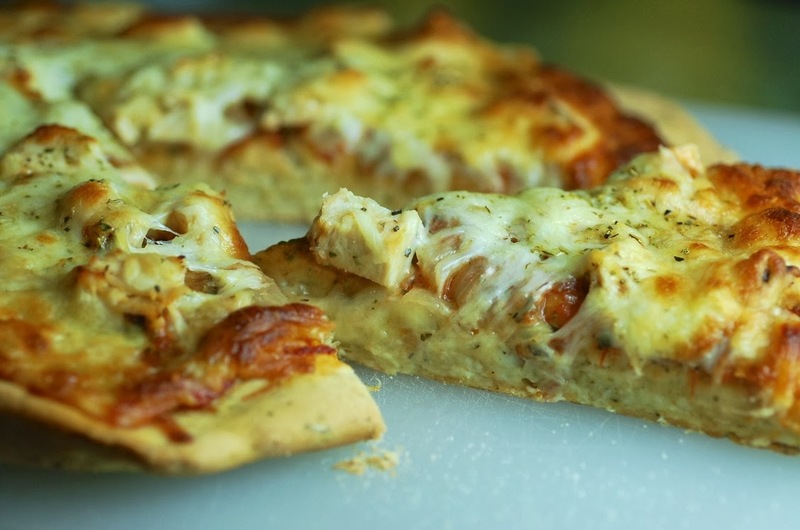 I am fairly certain that pizza fits all of those food groups, except for wine, but there’s a quick remedy for that. No wonder it is one of my all-time favorite foods. We’ve been eating some great food this fall. So much so that I can’t keep up with blog posts. 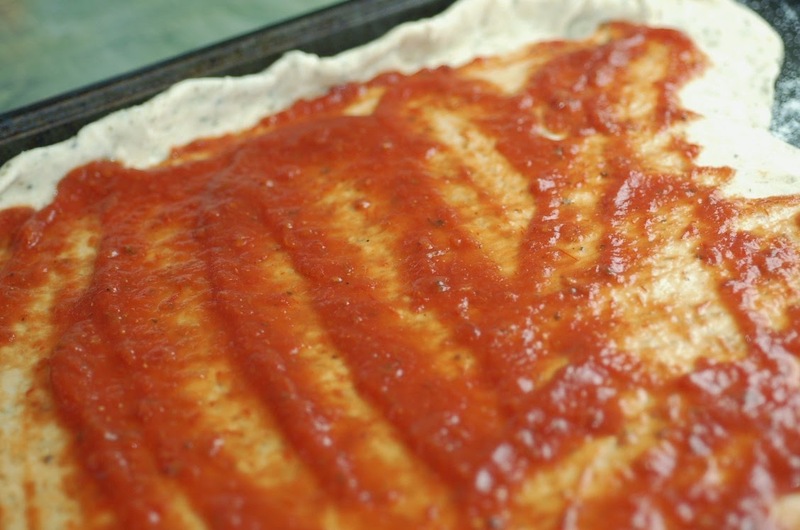 This pizza dough, however, needs to be shared. 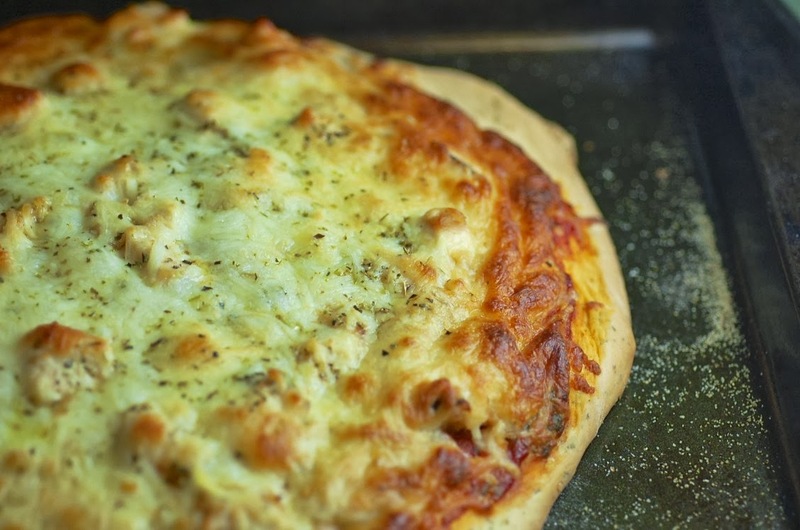 Growing up, my mom would occasionally make homemade pizza. I remember it being quite the production with lots of kneading, then rising, then some more kneading, then maybe some more rising, and maybe some more kneading…I lost track of the process. Anyhow, she would then bake it in this massive cast iron skillet that is so heavy that as a small kid, I couldn’t lift it. (On a morbid side note: I remember thinking to myself as a kid that if I ever needed a weapon, this skillet would be a good one.) By the time the pizza was finished, I would be nearly drooling. The end result was always worth the wait–it was always perfect. 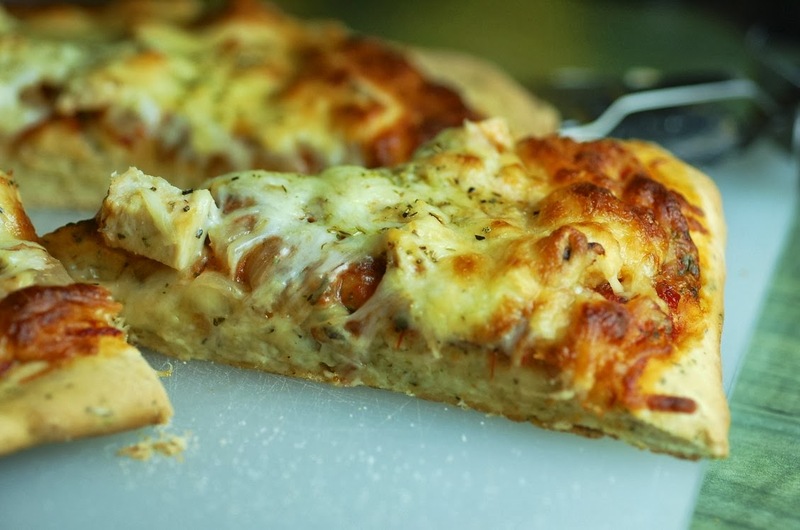 With such fond memories of pizza as a kid, I still love the stuff. 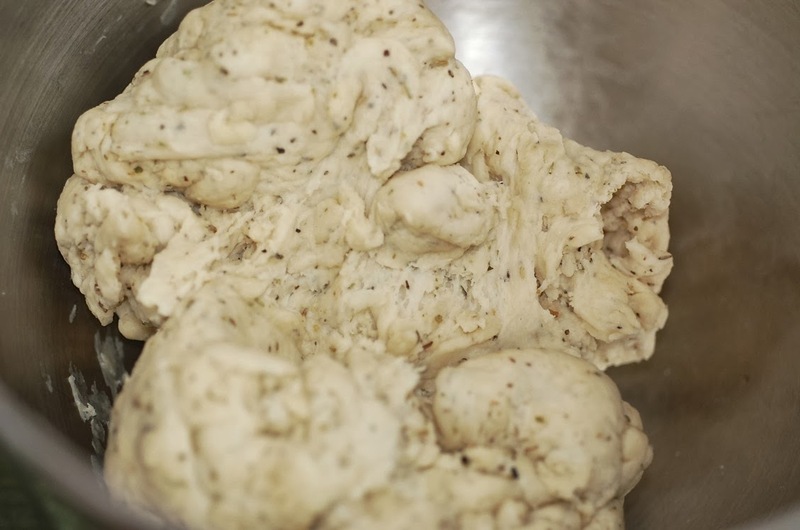 This dough is not my mom’s recipe, but is absolutely delicious (sorry mom, I like mine even better). It is perfectly doughy, flaky, and soft all at the same time. Also, the addition of Italian seasoning is quite magical. 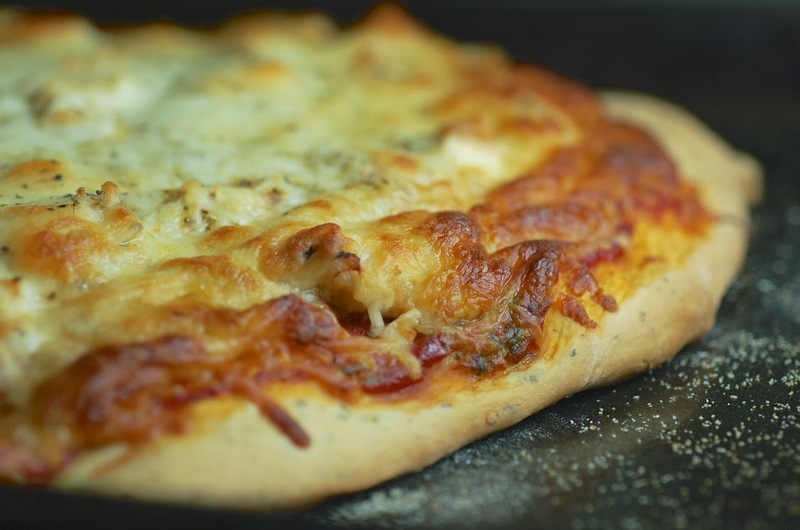 What I love most about this pizza dough is that it is quick and easy. There isn’t the torturous cycle of kneading and rising–the whole thing is can be done and ready to be rolled out in 30 minutes! Add the flour and salt to the bowl of your stand mixer fitted with the dough hook attachment. 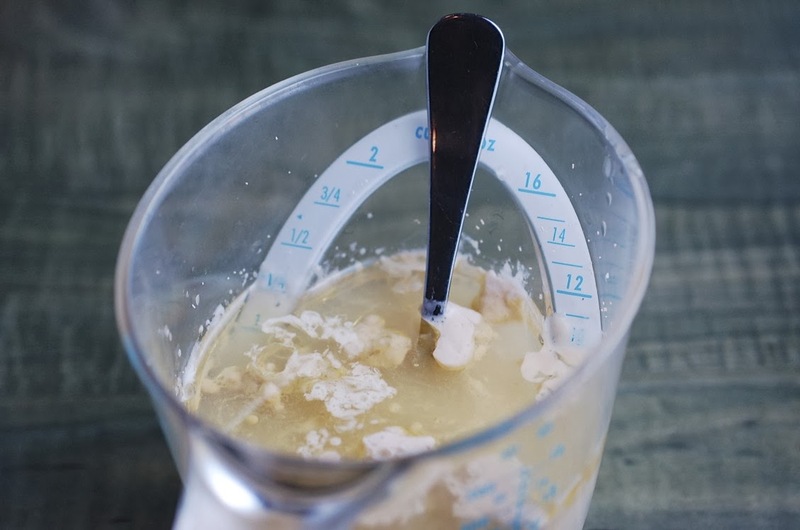 Measure your warm water, then add the yeast, sugar, and olive oil. Give a quick stir. Let stand for 5 minutes to proof. Pour the water and yeast mixture into the bowl with the flour and salt. Add the Italian seasoning. Knead on medium until a doughy ball forms. Roll out on a floured surface. Transfer to a cookie sheet that has been liberally sprinkled with corn meal. 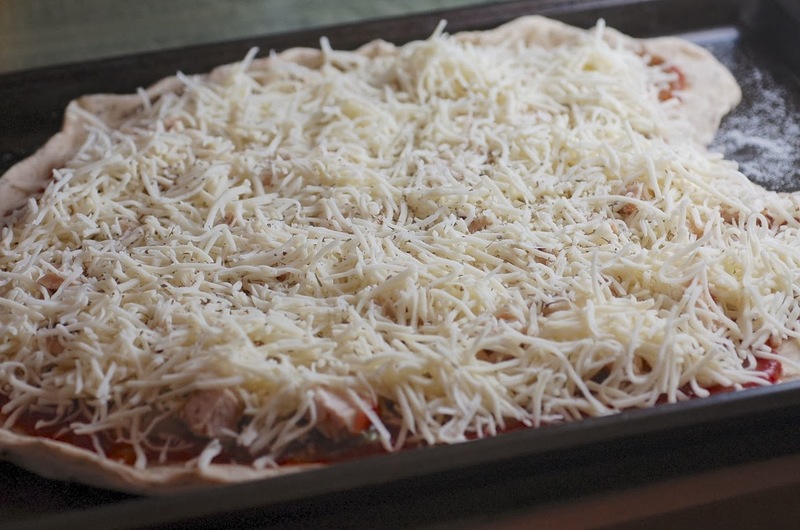 Bake for 20 to 25 minutes or until your cheese is golden brown and the edges of the crust are golden brown too. Cool momentarily (if you can wait that long). 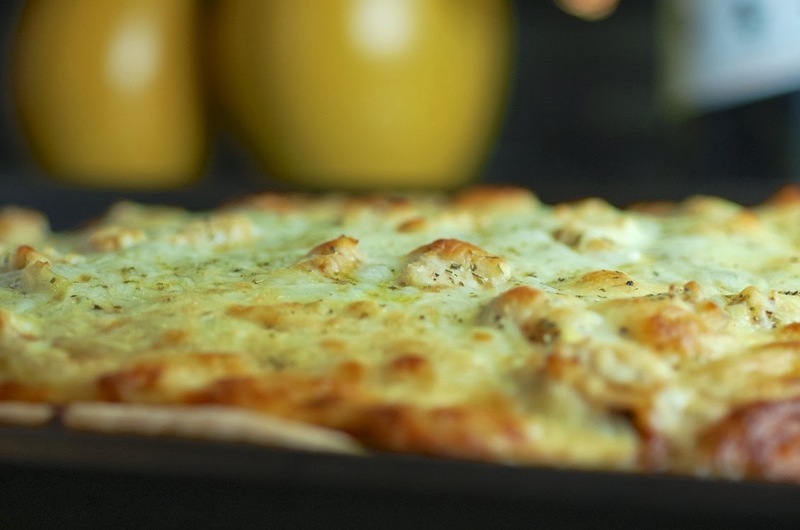 ***Note: I’ve also made grilled pizzas from this recipe and it worked perfectly!